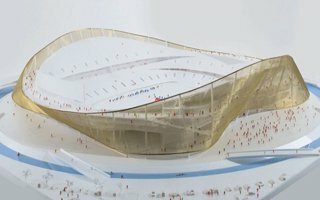 Designed by Bjarke Ingels, the new stadium of Washington Redskins is to become a breakthrough in approach to NFL stadium design. Its first indicated location is Oxon Hill, Maryland, just south of the Washington DC border. This site offers great road access from all major cities around. The breakthrough approach would be most visible in parking sites layout. 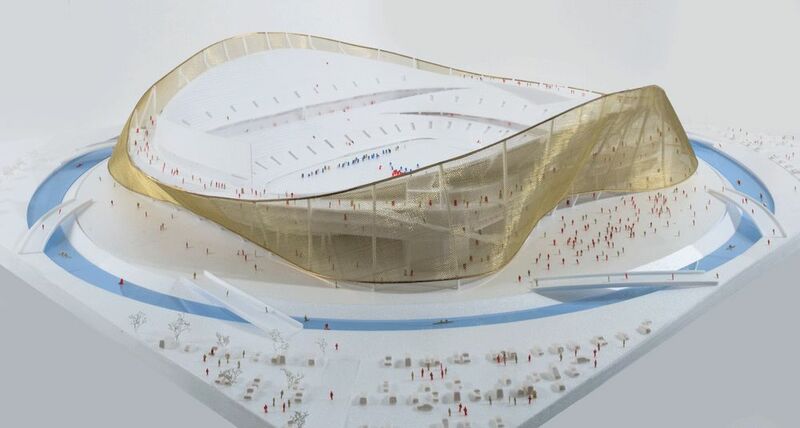 The stadium will offer 25,000 vehicle bays, but should successfully minimize the immense scale visually by hiding most parking spaces underground. 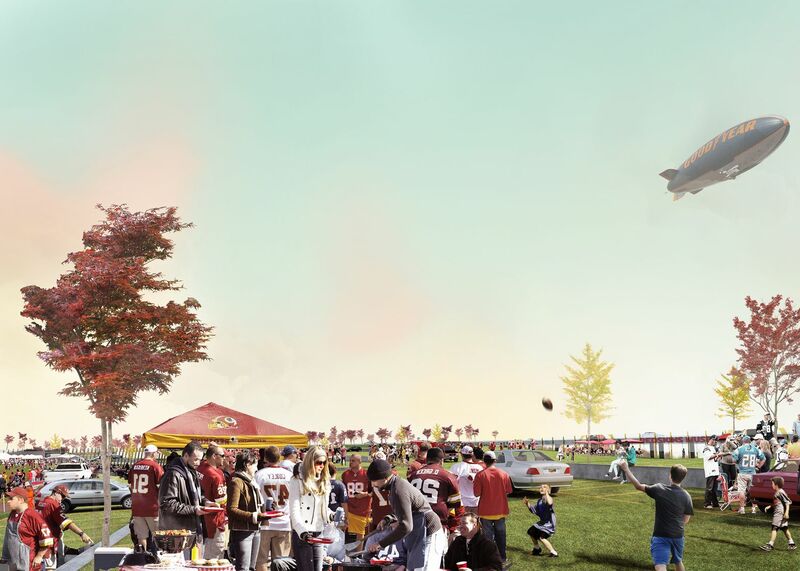 The multi-level parking site will be topped by public green areas, inviting fans to tailgate even more than usually. 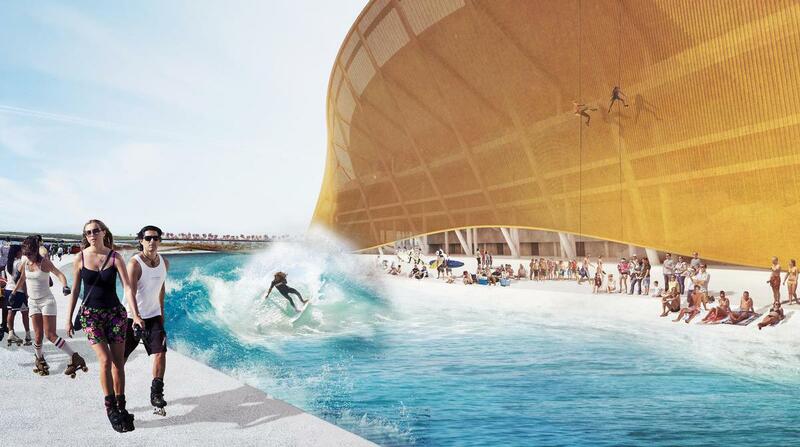 The site would be shaped like a sinkhole or, in more pragmatic terms, a sunken amphitheater. 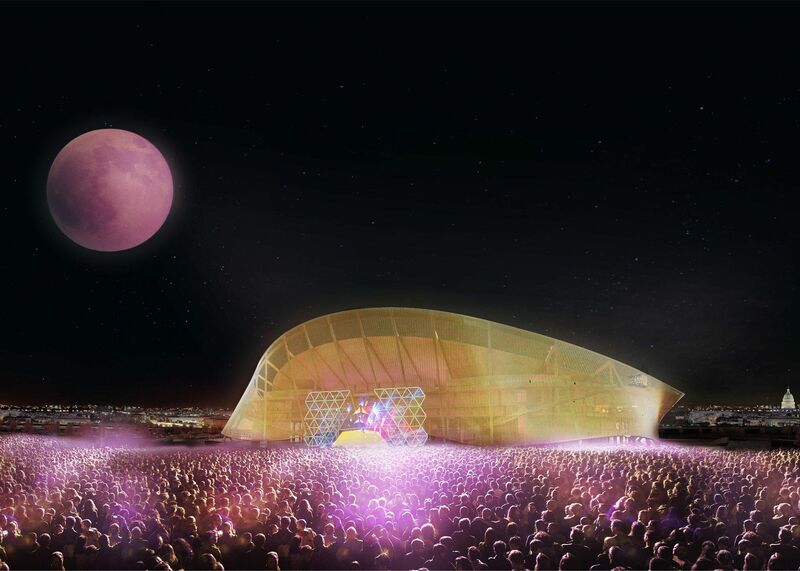 When used for concerts (stage outside of the stadium), it would be able to hold 100,000 fans. 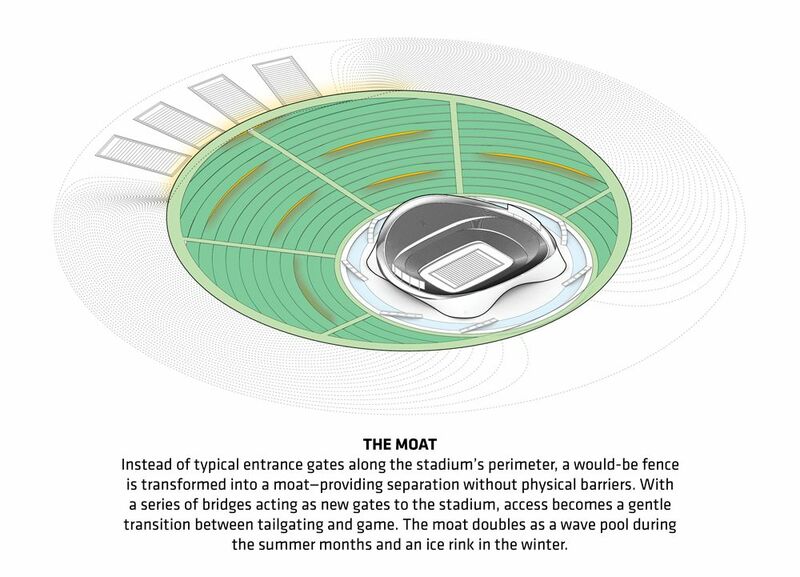 To make the area more welcoming and avoid creating artificial barriers, the stadium would be surrounded by a moat. 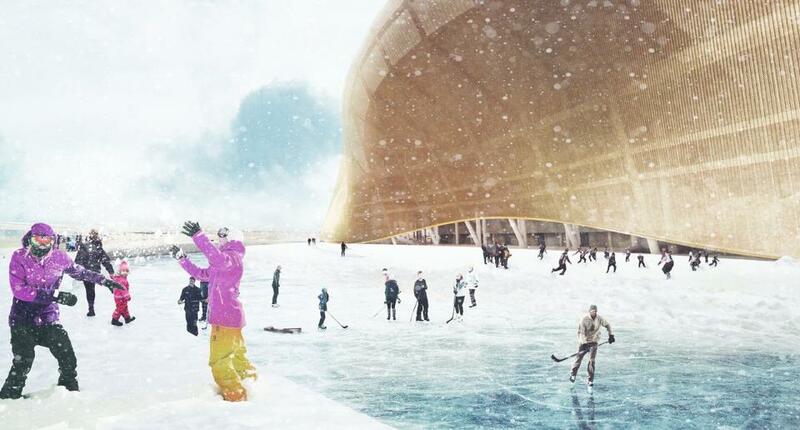 Not a medieval-like one, but a leisure site: wave pool in the Summer and ice rink in Winter. Crossing it is possible via 8 pedestrian bridges. 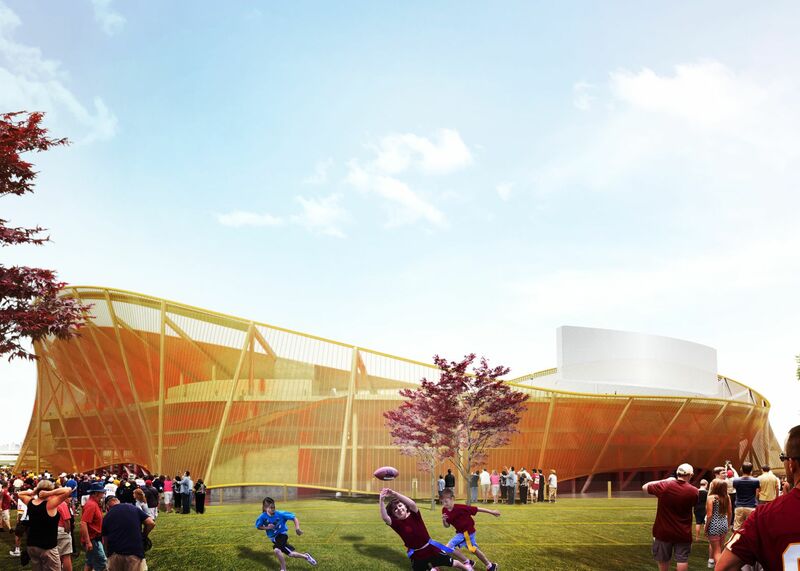 Once inside the moat, fans would see up close the golden metal mesh enveloping the stadium lightly. 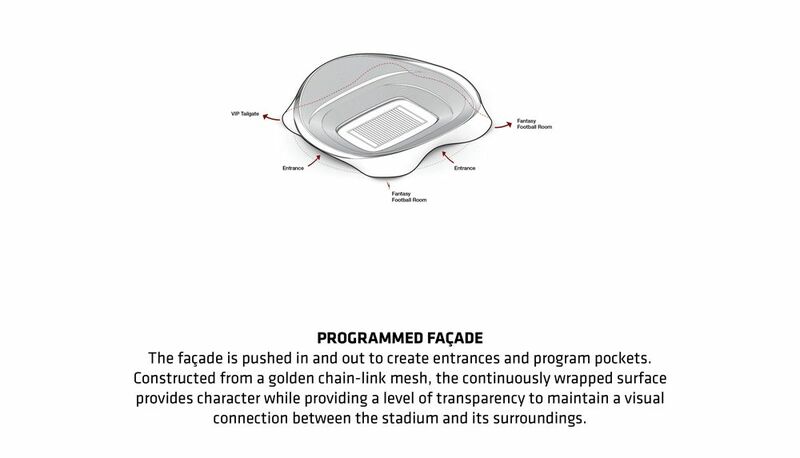 The skin’s wavy shape is an indication of where fans should go to get inside: it bends inwards where the gates are and spreads outwards where additional commercial/entertainment zones will be. The stands themselves will also be unconventional. 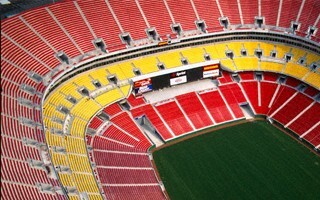 Instead of a clear division into tiers, the stadium offers a massive single tier with cuts for strips of corporate zones. Private boxes would also be created on ground level, but this is a more conventional feature nowadays. This unusual seating layout would provide 60,000 capacity, one of the lowest throughout NFL. The uppermost concourse is nicknamed the ‘sundeck’, because on both ends of the stadium it would become an uncovered viewing point, giving great view of both in- and outside the stadium. Under the concourse there will be room for, among other uses, 4,000 square meters of museum space and 9,000 sqm for offices. 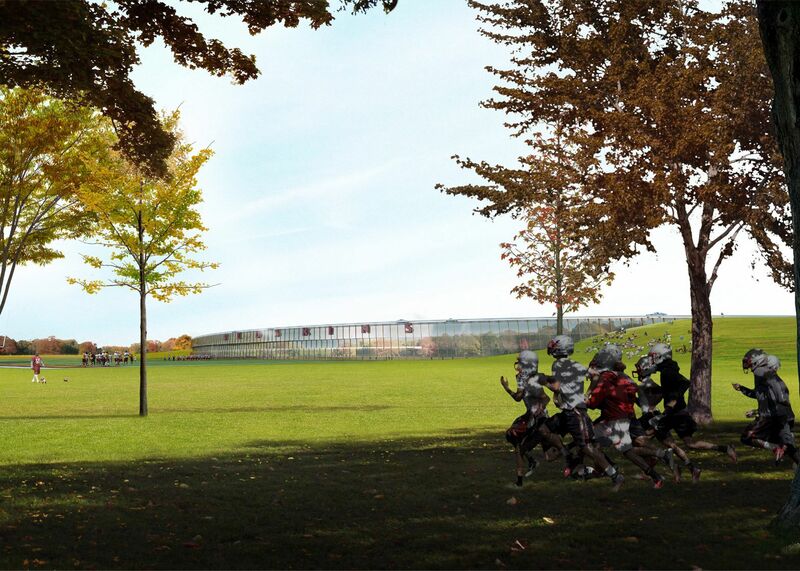 Western edge of the precinct will be occupied by four training field and other facilities for athletes, constituting the Redskins training center. 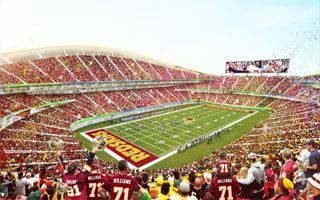 13.12.2018 Where will Redskins land after FedEx Field dies? It's been a bad season in a bad era for the Washington Redskins. And their stadium is, you've guessed correctly, bad as well. 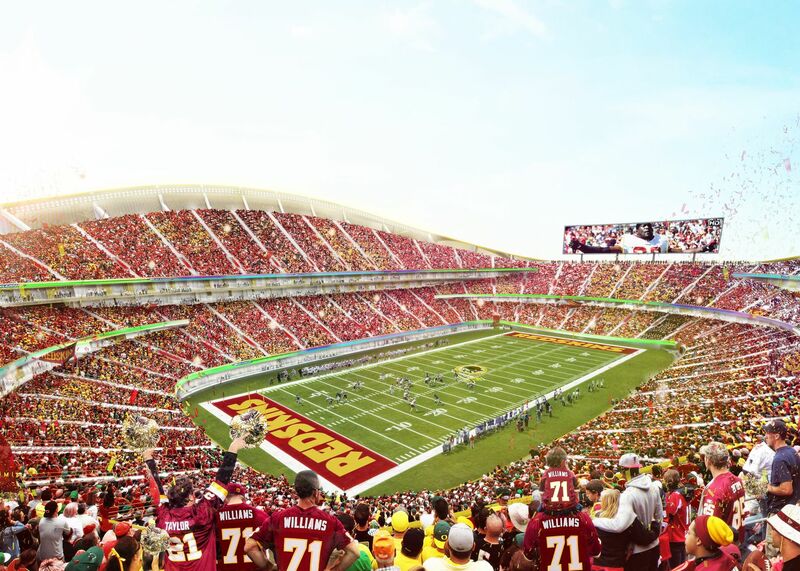 FedEx Field will only last until 2027, the team staying there is not part of a legacy plan. Where to, then? 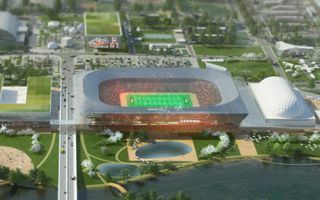 The stadium itself will remain intact, at least in the short term. However, the first phase of the precinct's redevelopment is already underway. 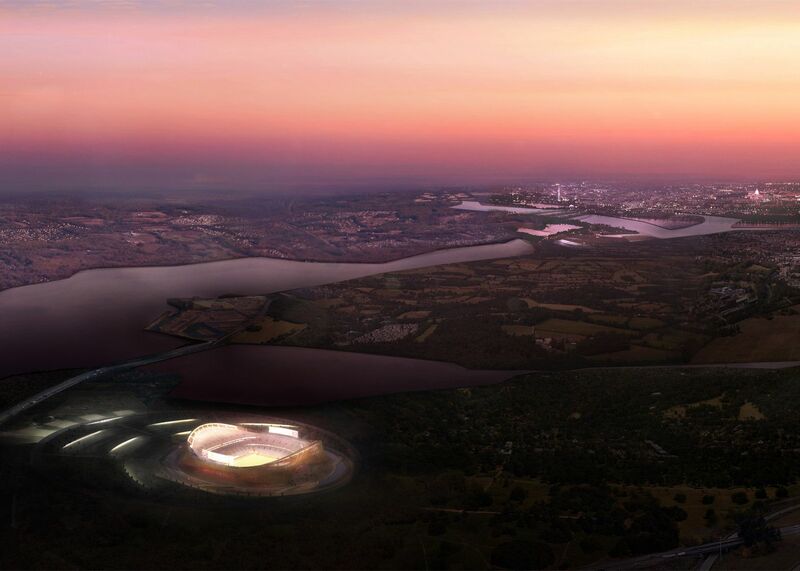 Will Redskins build their new stadium here? It will be 55 years old this October and there’s not much life left for RFK Stadium. The building will be demolished and here are two options of how the entire area of Washington DC can be reinvented. Instead of dull sea of parking, this one’s surroundings will be turned into a giant leisure area. 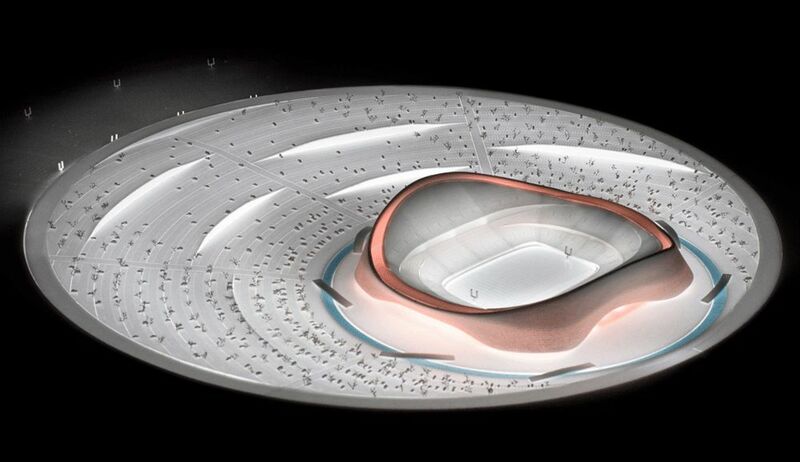 Instead of traditional three tiers of seating, it will have an almost merged bowl for the fans inside. And more!